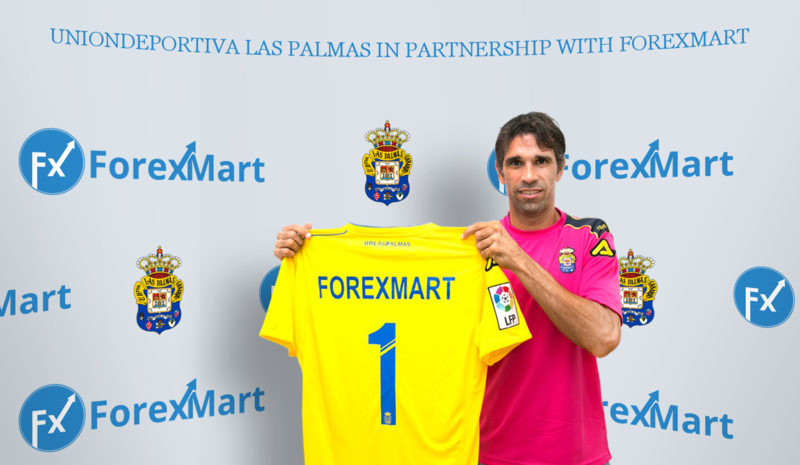 Sports Media Gaming are delighted to announce that it has brokered a sponsorship agreement between ForexMart and La Liga’s Union Deportiva Las Palmas . In the same way that Las Palmas starts this season in the top Spanish Division, ForexMart debuts in the top division of Forex. 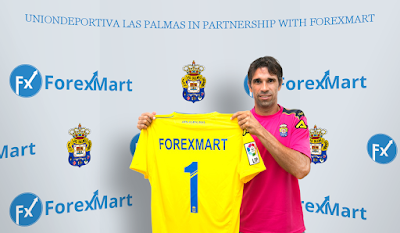 Ildar Sharipov, president of ForexMart also has shared his welcoming words to the new partnership: "We believe Las Palmas will be a solid player in the top division of Spanish football - La Liga - the strongest and most popular football league in Europe. This is something we were looking for a long time: the best is meeting the best." UD Las Palmas Excecutive Director - Patricio Vi-ayo, points up that the club is proud to attract foreign sponsors with future prospects: "Our sponsorship policies aims to link our image to well positioned companies and to work together following the planned marketing strategies for a successful relationship. ForexMart has this profile and we are fully convinced of this partnership". ForexMart is a European Forex brokerage company based in Cyprus. Services of ForexMart include online Forex (currency) trading, CFD trading and Metals marginal trading with attractive trading conditions and fair price policies. ForexMart is regulated in accordance with MiFID and other European directives maintaining its highest standards of modern online trading. Stephen Pearson commented "I am thrilled that we have united ForexMart and UD Las Palmas for their exciting journey together in La Liga". SMG are delighted to have brokered an agreement between Banc de Binary and Liverpool FC which will be activated across Europe, Canada, Australia and South Africa. The global brand, which prides itself on providing the simplest and most user-friendly online trading platform, will benefit from digital marketing support, as well as club hospitality and experiences. 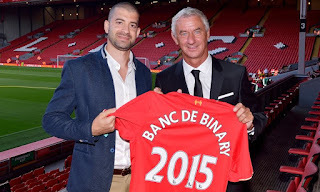 Banc De Binary plan to share the benefits of the deal with its worldwide users through competitions to win money-can’t-buy-prizes on its digital platforms and social media channels. Stephen Pearson added "we are thrilled to broker this agreement which we look forward to developing into a long term partnership"